October 15th will mark the start of the North American Congress in Buffalo, NY. We hope to see many new friends there. These “live” gatherings are very important. 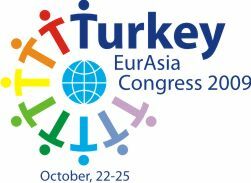 The next Congress after the North American one will take place in Turkey on October 22nd. This Congress is intended for the European region. These two events are incredible opportunities for unity. If you have never been to a Congress, then you just won’t receive the connections you need to correct in order to feel the spiritual world inside them. If you have experienced something at least once, then you already know what it feels like and you can continue what you started. But without experiencing something for the first time, you just won’t have the right impression, and nothing to keep developing. You have to receive an impression that you will later develop through the studies. Therefore, anyone who has an opportunity to come to a Congress, but turns it down and stays home, or spends that time at a friends’ gathering with a few friends in his home town, will be making a mistake! You can only do this when the circumstances leave you no other choice. On my part, I promise to be ready to answer your questions throughout the entire duration of these Congresses.